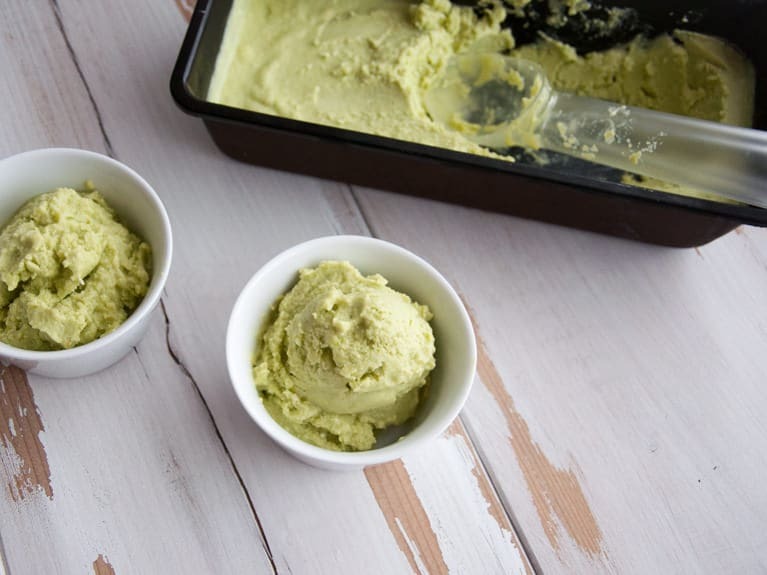 You only need 4 ingredients for this raw, gluten-free and vegan Avocado Ice Cream recipe! No ice cream machine needed. It’s super creamy and yummy!! There is something about green ice cream that I’ve loved since I was a child. It just feels right to me. 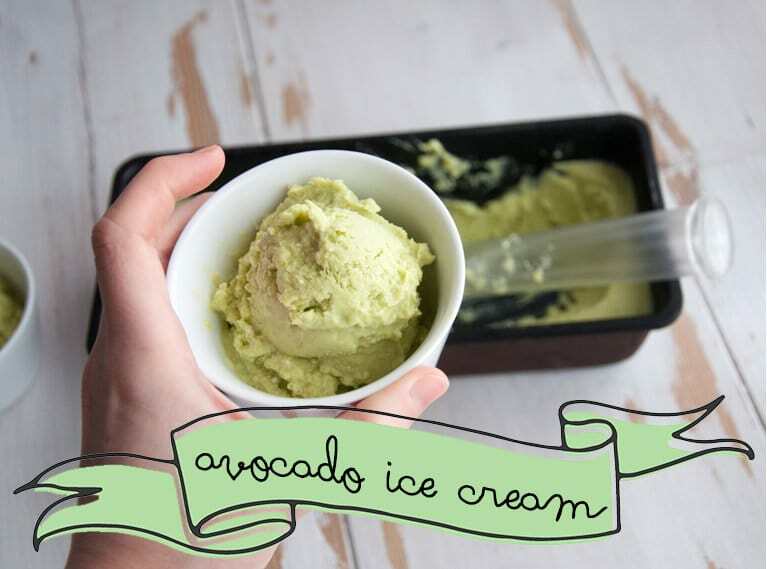 And because I’m secretly (or not so much) addicted to avocados, I worked on creating a vegan Avocado Ice Cream. Avocado Ice Cream is all the rage right now. 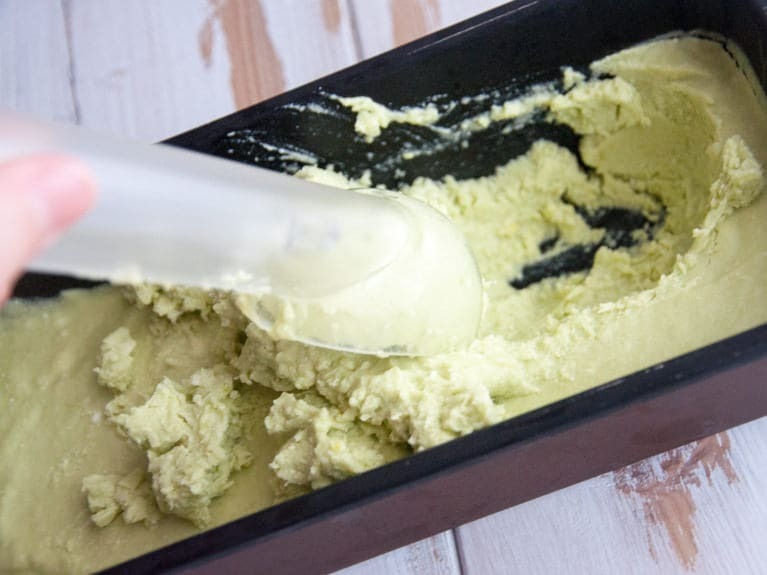 There are a few companies that sell avocado ice cream but you can easily make it at home. 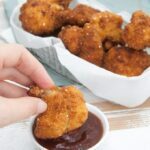 It’s really easy, you only need 4 ingredients and the best part is that you don’t need an ice cream machine to make this treat, but a blender or food processor will help you make it perfectly smooth. If you’re wondering what Avocado Ice Cream tastes like… It’s super creamy and decadent. Also it’s not too sweet, so you still can taste the avocado. However, you can adjust the sweetness easily – that’s the good thing about homemade treats. If you want it sweeter, just add more rice syrup or whatever sweetener you prefer. 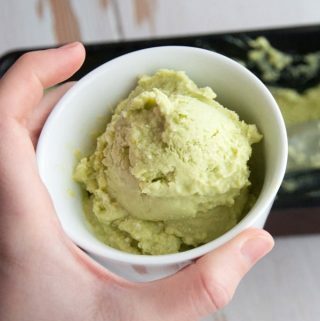 If you’re following a paleo diet, you can use maple syrup instead of the rice syrup and voilà: Paleo Avocado Ice Cream! 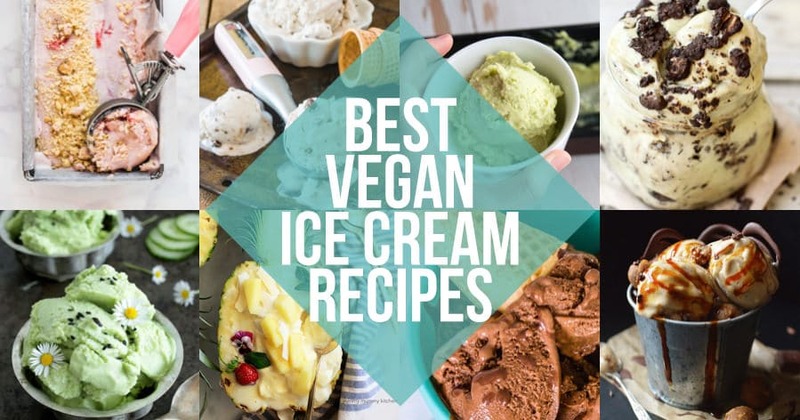 As a base I used coconut milk because it provides a lovely creaminess – oh and of course: avocado and coconut milk make a great team and ice cream! 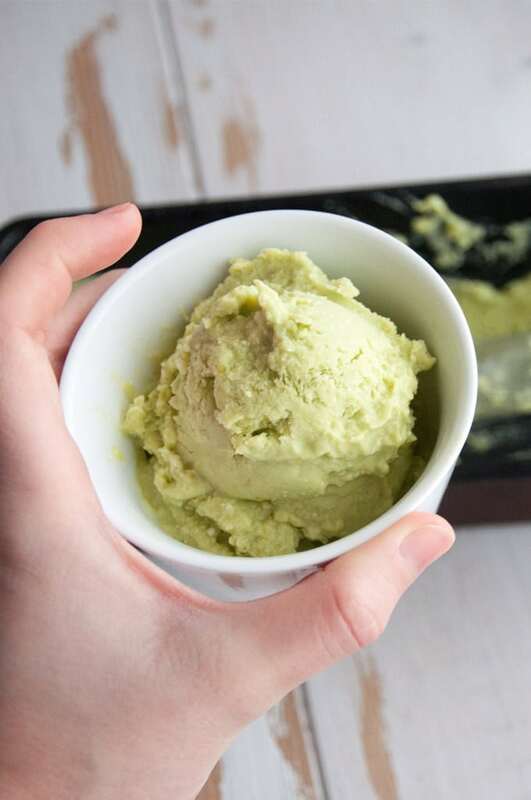 This delicious vegan, raw and gluten-free Avocado Ice Cream doesn't even need an ice cream machine to make! Cut the avocados in half, remove the pit and spoon out the avocado flesh. Put the avocado flesh in a food processor together with the lemon juice and blend until it's a perfectly smooth avocado cream. Open the coconut milk can upside down (so that the hard cream is on top). Spoon out the coconut cream until you hit the coconut water (save the coconut water for a different recipe or for a smoothie). Whip the coconut cream in a bowl with a KitchenAid, or other electrical mixer until it's a nice, soft coconut whipped cream. Add in the avocado cream and the rice syrup and mix until incorporated. Put the ice cream in a freezer-safe dish. If it is too hard to spoon out after 4 hours, let it sit at room temperature for a minute or two. Enjoy! You must have grown up in a much different world then me, because I’m just now getting used to the idea of green ice cream :D The ice cream of my childhood was either creamy white or fudgy brown, I rarely even ate that artificial mint green. I was a boring child haha. This is very cool and by far the simplest Icecream recipe I have come across. Thanks for sharing. I am not familiar with a can measure for coconut milk. What’s the quantity in ounce or litres? 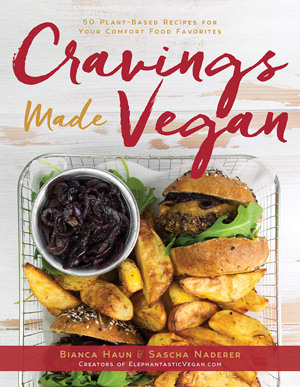 Please keep sharing such wonderful vegan recipes.. Thank you for this recipe! HOLY COW that was delicious! I’ve never tried avo ice cream in my life and I was worried I’d be grossed out but I ate the whole dang thing!! It was so easy too. BTW, I was too lazy to hunt down Rice Syrup, so I just used Agave Nectar (same amount). I absolutely LOVE avocado in ice creams! It adds such a beautiful richness and color. This looks just beautiful (and delicious!). Only recently have a discovered the joys avo-based ice-cream. Every weekend for the past while I have been trying new avo ice-cream recipes. Such is my addiction. What I’d like to know is for how long I can store this ice-cream in my freezer before it makes a turn for the worse? Usually, I’d finish off the small loaf tin in which I freeze my ice-cream in a couple of days. However, I’m about to go away and want to use up some avos before I go. Any idea? Thanks again for this delicious recipe. Avocado ice cream as an addiction sounds wonderful :) It’s a bit hard to tell how long it will stay okay in the freezer. I guess it depends on the container you’re using? Do you have a lid for it? I think it will stay fine longer (I’m guessing even a month?) if it’s completely sealed. If it’s an open container, it would form ice crystals after about a week.. These are only guesses, I haven’t tried storing it for a longer time. 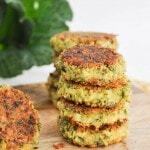 Love the recipe!! 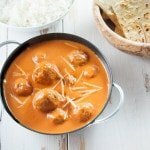 Just one question, how can I substitute the full-fat coconut milk? Thank you, Patty. 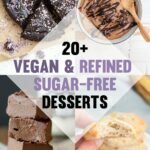 Unfortunately I couldn’t think of any substitutions for the coconut milk because it’s a key ingredient to make the ice cream creamy. To Patty re: the full fat coconut milk. It’s a good healthy fat. Not hydrogenated oils or soy. 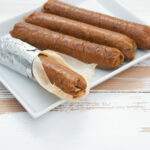 It’s a medium chain triglyceride and very nutritionally beneficial. To Bianca, I cannot wait to try this. The only ‘green’ ice cream I’ve had is green tea ice cream… very yummy, but not sure what’s in it, as I’ve only ever had it at Japanese restaurants. I love avocado. I love ice cream… hmmmm….gonna be my new addiction. I can tell just thinking about it. Thank you so much for your comment and insights, Deborah! Oh, green tea ice cream is so good too. :) I hope you like the avocado ice cream! 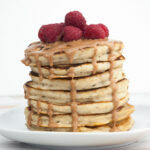 Isn’t maple syrup fructose free? I’m no nutrition expert, but what I’ve read is that maple syrup is 99% sucrose (1). Sucrose composes of 50% fructose and 50% glucose (2). According to this graphic (3) maple syrup contains 40% fructose. So while there are slight differences found on various sites, the majority says that the fructose content of maple syrup is around 40%-50%. Oh, that’s great, Aimee! 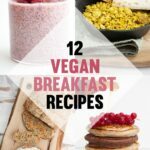 Avocado alone is super creamy but with the coconut? It’s a winner for sure :) I’ll have to check out your ebook, it sounds divine and all your ice cream creations look so pretty and sound so good! Thank you so much for the amazing feedback, Jacki! I’m so glad you liked it! I was just looking for a basic avocado ice cream recipe to try and then later experiment with adding interesting flavors. I think this will be great. Do you think that the recipe would work as well in an ice cream machine? I just prefer working with one. Hi Angela! 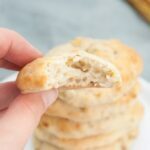 I’ve had many readers try this recipe and add in mint extract and/or chocolate chips to give it a new twist and they really liked it. I haven’t tried making it in an ice cream machine because I don’t have one sad face but I don’t see why it wouldn’t work. It’s definitely worth giving it a shot! Hi Bianca! Have you ever tried this without the rice syrup or any sweetener? Trying to cut down on sugar. 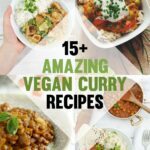 Hi There, I want to check is it coconut milk (thin consistency like normal milk) or coconut cream (much thicker and whiter in consistency) that is used in this recipe ? You mention we can supplement with Maple syrup if we don’t have rice syrup. 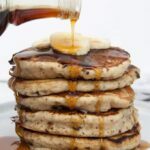 I’ve not come across rice syrup – why do you recommend it ? 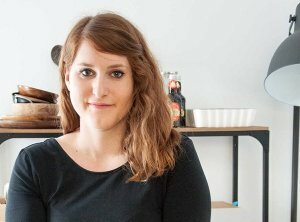 Hi Olivia, in this recipe I’ve used the full-fat coconut milk one can usually get in a can like that one. About to embark on this recipe but don’t have the sweeteners you mention. Can you use honey as a sweetener? Or use some dates and or banana! So does it taste like coconut? Omg thank you so much for this! I have a serious ice cream craving right now and I actually have all of these things! Wow, really tasty. 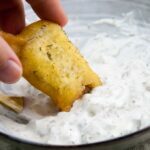 The coconut cream makes this super creamy and have alot of dimension. 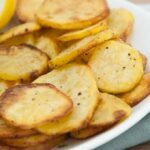 I am not vegan or a veggie, and this was amazing…better than other ones I have tried from Food Network. I subbed blue agave nectar from Sprouts. Thank you very much, Bianca, for replying. What would the quantity of coconut cream be if I did this instead of scooping out the cream from on top of the coconut milk can? Yeayyy!! :) Hope you enjoy!